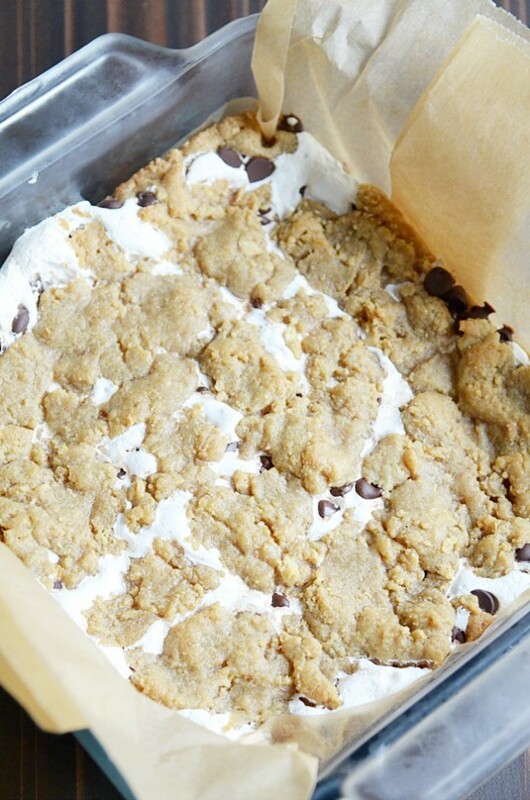 Well, I wouldn’t be able to choose between a S’more and a Chocolate Chip Cookie. Honestly. 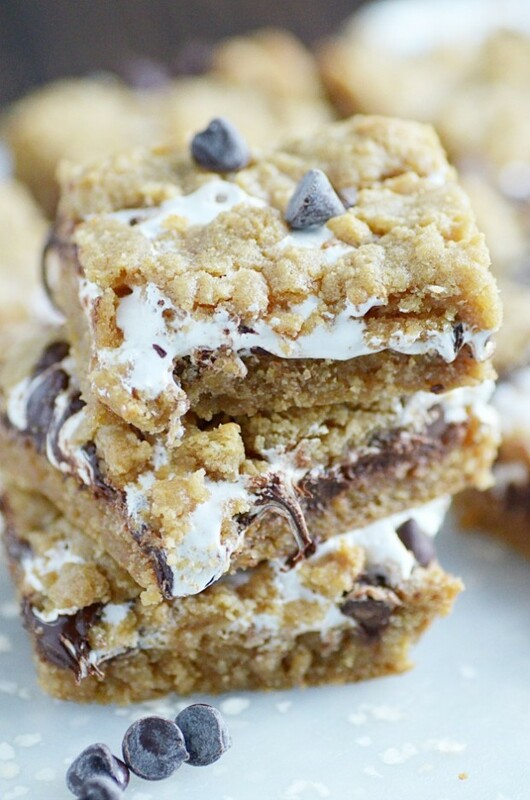 So, in the event I’m ever cruelly and inhumanely forced to choose between the two, I’ve come up with a contingency plan: these S’mores Cookie Bars! 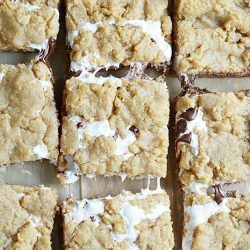 The inspiration for this recipe actually came from the S’mores bars that my family is obsessed with at a nearby lunch place we frequent. They have the best chicken salad and sweet potato fries and DESSERTS. 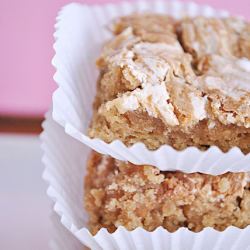 In all honestly, I’ve only ever tried a few of the many dessert bars they have– I tend to find something I like and obsessively eat only that one thing until I’ve completely exhausted my taste for it. And for the past year or so, it’s been these Peanut Butter Swirl Cookies that they make in-house. In fact, when I asked my husband to go grab a dessert after our meal (translation: go get me a peanut butter cookie! 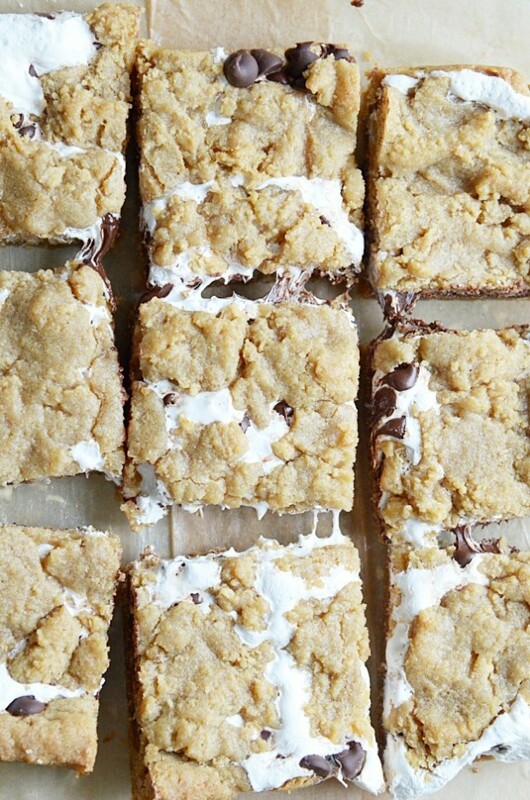 ), I was actually irritated when he returned with a gigantic S’mores bar the size of my face. I know– who am I?? Anyway, I refused to even try a piece until he had Emma had demolished almost the entire thing. I grabbed the last little piece fully expecting to be underwhelmed. Instead… the clouds parted and angels sang and I sent my husband back for another. That I ate all on my own and never looked back. Most of the time, the copycat recipes I attempt at home take a few tries and at least a little tweaking. I was thrilled to discover that these turned out PERFECTLY on the very first try. 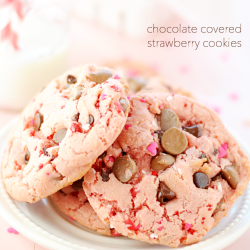 All I had to do was make a few moderate alterations to my favorite chocolate chip cookie recipe. 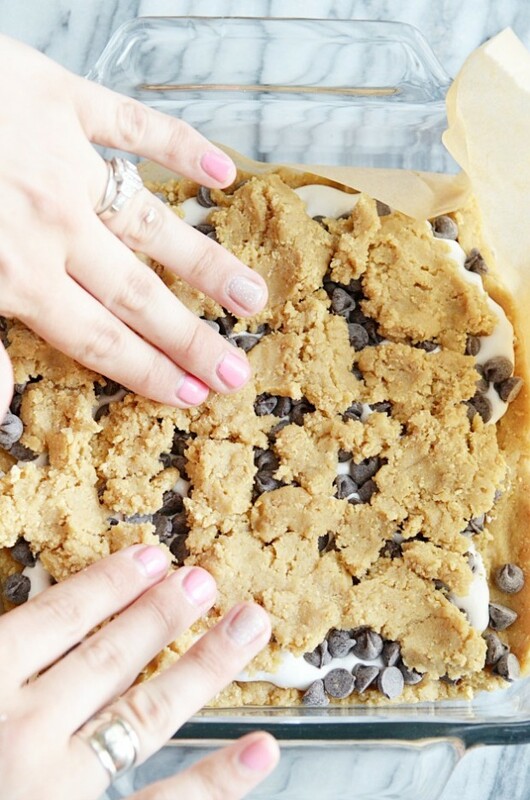 I mixed graham cracker crumbs right into the cookie dough. 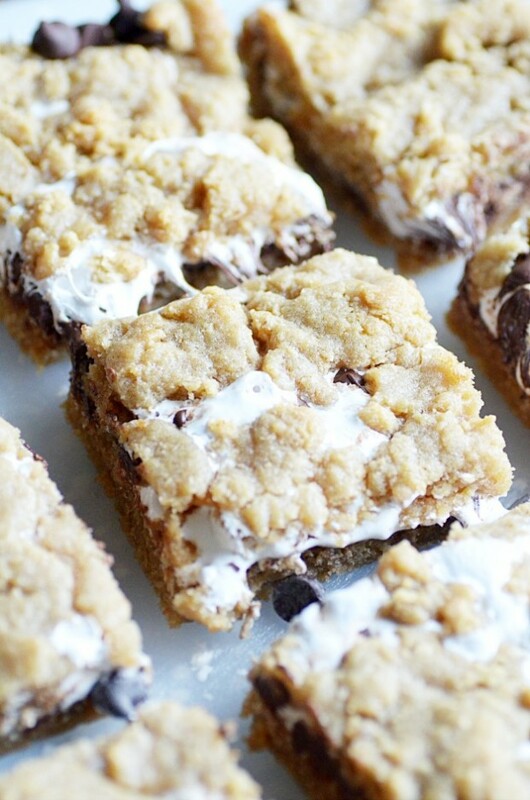 This gives the cookie an on point graham cracker taste in addition to a little crispy crunchy texture in every bite. 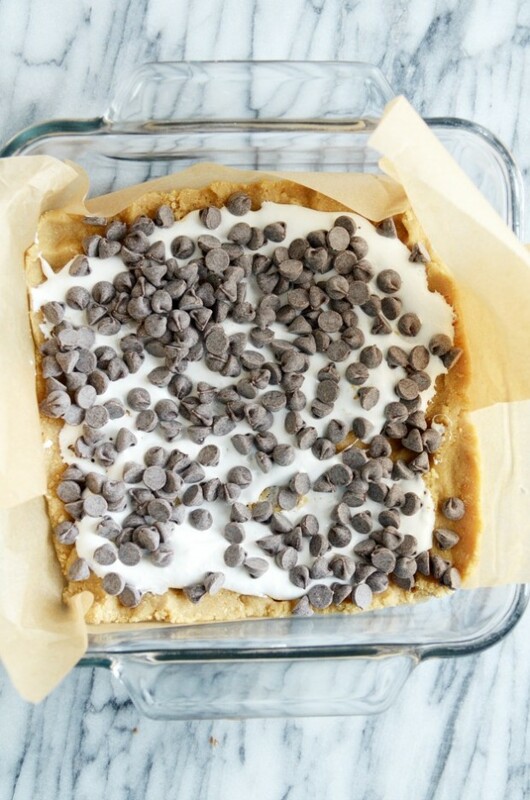 I slathered half of the dough with marshmallow cream, piled on the chocolate chips, and then added the rest of the cookie dough in clumps on top. These seriously could not have turned out any better. I am so excited for you to try them! Like squealing-hovering-over-your-shoulder-in-the-kitchen kind of excited. You must tell me when you try these and how much you liked them!! We like to keep ours chilled in the refrigerator, just because that’s how they’re served at the restaurant. 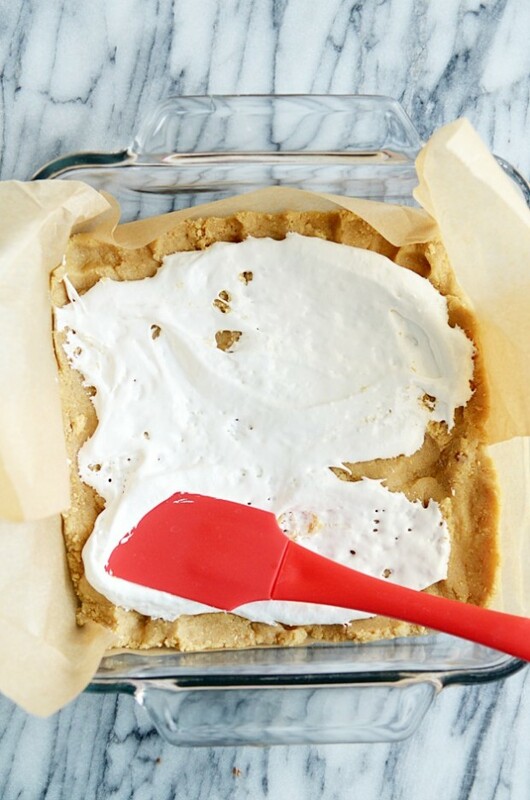 But you can totally keep these at room temperature for a soft, gooey, perfect cookie. Happy Friday, friends! ???? ???? ??? ?